Mom Taxi Julie: Happy Halloween!! I thought I'd share a few pictures of ME over the years dressed up for Halloween. Remember back in the day when you'd just rummage through the boxes and find something that you could throw together for a "costume"? My Mom made us matching costumes in 1975. We are so freaking cute! My brother's school carnival my Mom drafted me into helping out with. I think I was early high school here. Scott and I on our first Halloween together. We made our "child" dog a cape. he was SUPER TOBIE! Silly kids. I was actually pregnant with Jessica here. It's hard to see but Scott latex-ed those noses on us. It was disgusting. Missing are a "Hobo" I think I was that for several years, pretty sure I was a clown for a couple years and also a cat. I'll have to get those from my Mom next time I go over to her house. Have a nice Halloween and remember to stay out of the candy bowl!! 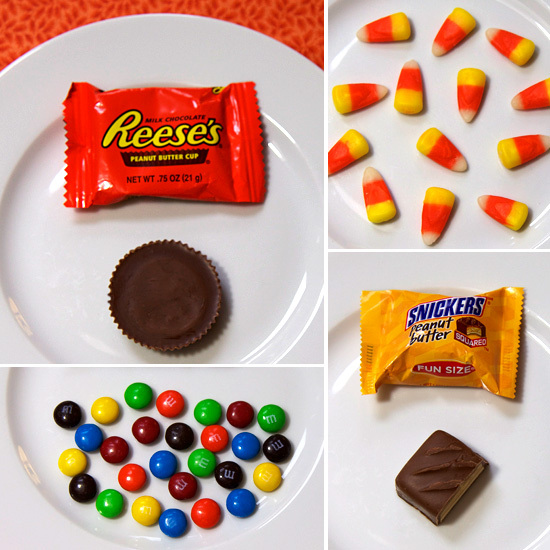 Go here and see what 100 calories of your favorite Halloween Candy really looks like.